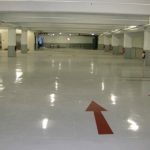 The Airport multi-storey Car Parking area in the city of Girona in Spain was one of the most challenging waterproofing projects in Spain. 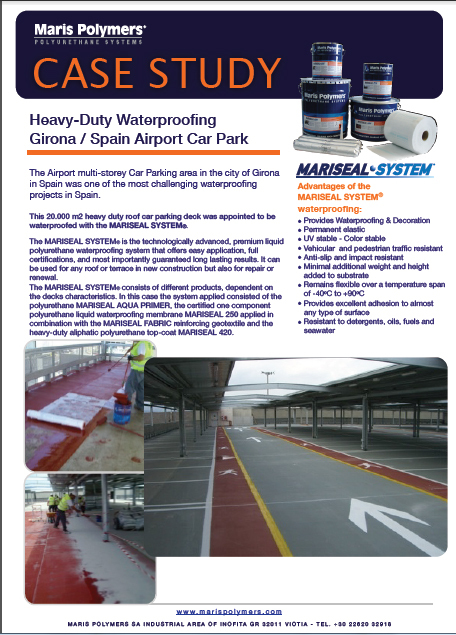 This 20.000 m2 heavy duty roof car parking deck was appointed to be waterproofed with the MARISEAL SYSTEM®. The MARISEAL SYSTEM® is the technologically advanced, premium liquid polyurethane waterproofing system that offers easy application, full certifications, and most importantly guaranteed long lasting results. It can be used for any roof or terrace in new construction but also for repair or renewal. The MARISEAL SYSTEM® consists of different products, dependent on the decks characteristics. 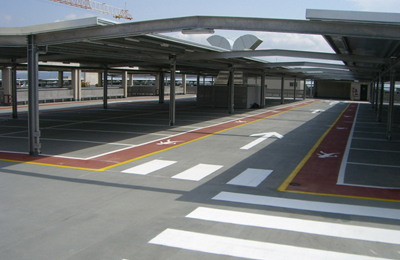 In this case the system applied consisted of the polyurethane MARISEAL AQUA PRIMER, the certified one component polyurethane liquid waterproofing membrane MARISEAL 250 applied in combination with the MARISEAL FABRIC reinforcing geotextile and the heavy-duty aliphatic polyurethane top-coat MARISEAL 420.